Like GoPro’s HERO cameras, the Fusion also includes ProTune. If you like more control over your image, activate ProTune and gain manual control over ISO and exposure compensation. When you’re on the go, sometimes you need to capture footage at a moment’s notice. With just a tap of the record button while the camera is off, you can immediately start recording video or taking time-lapse footage. Available for free on the GoPro website, Fusion Studio is a Windows and Mac compatible program that allows you to process Fusion footage. Connect your camera, and Fusion Studio will walk you through importing, stitching, and exporting your videos for proper editing in your NLE of choice or uploading to your favorite video hosting sites. GoPro’s advanced stitching algorithm will stitch out most mounting accessories for a fully immersive 360° experience. 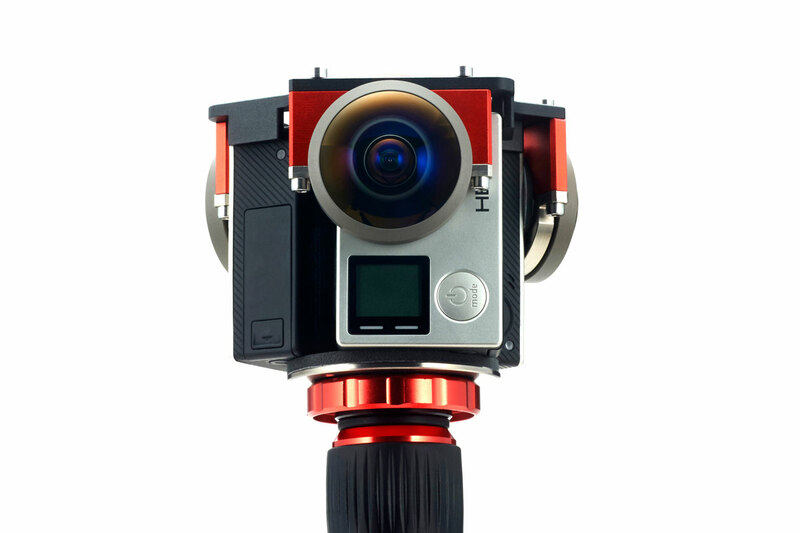 Omni makes it easy to capture and create the highest-quality 360° videos. 6 cameras act like one. 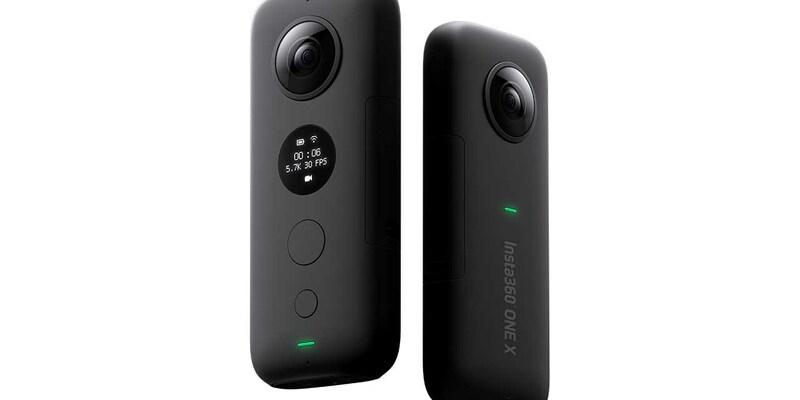 Omni connects and synchronizes six HERO4 Black cameras, linking the triggering and video streams perfectly. No need to synchronize your videos in post-production. Flexible power options. Omni can be powered from in-camera batteries. An external power supply can be also be used to extend recording time and simplify power management. State-of-the-art VR. Omni and Kolor™ software combine to give you everything you need to deliver astonishing, top-quality VR video. Circuitry built into the Omni Rig syncs all six GoPro cameras automatically. This eliminates the need to manually find the sync point between all cameras prior to stitching the videos. One master camera controls all the others—this makes the triggering simultaneous, but more important, all video streams are perfectly synchronized, saving you valuable time in post-production. The GoPro Smart Remote (sold separately) can be used to trigger the master camera wirelessly. In optimal conditions, you can control Omni from up to 600ft (180m). This lets you position yourself outside of the scene while Omni captures everything around it. 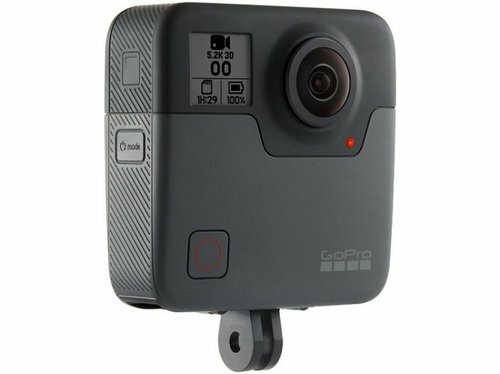 GoPro cameras included in rental costs. 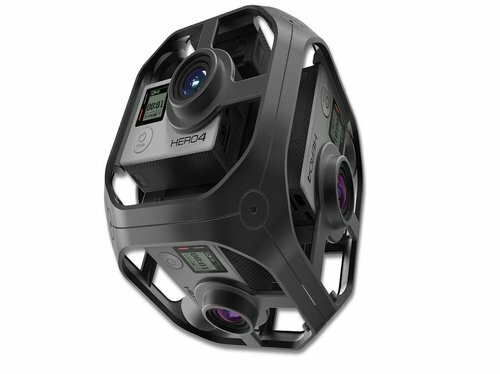 Quick Features Video: Spherical 5.2K video up to 30 fps, 3K up to 60 fps Photo: Capture 18MP spherical photos OverCapture: Create a video using a 1080p or 720p “punched-out” selection from the spherical capture Digital stabilization 360° audio capture Waterproof to 16′ Voice control Built-in GPS ProTune Like GoPro’s HERO cameras, the Fusion also includes ProTune. If you like more control over your image, activate ProTune and gain manual control over ISO and exposure compensation. QuickCapture When you’re on the go, sometimes you need to capture footage at a moment’s notice. With just a tap of the record button while the camera is off, you can immediately start recording video or taking time-lapse footage. Accessory Compatibility With an attachable two-prong mount, the Fusion is compatible with most standard GoPro three-prong accessories. Flat and curved adhesive mounts are included, as is the Fusion Grip, so you can get shooting right away. Charge the included battery through the USB Type-C port. For faster charging times, use the separately available GoPro Supercharger. Fusion Studio Software Available for free on the GoPro website, Fusion Studio is a Windows and Mac compatible program that allows you to process Fusion footage. Connect your camera, and Fusion Studio will walk you through importing, stitching, and exporting your videos for proper editing in your NLE of choice or uploading to your favorite video hosting sites. GoPro’s advanced stitching algorithm will stitch out most mounting accessories for a fully immersive 360° experience. THE BEST WAY TO START CREATING VIRTUAL REALITY CONTENT Omni makes it easy to capture and create the highest-quality 360° videos. 6 cameras act like one. Omni connects and synchronizes six HERO4 Black cameras, linking the triggering and video streams perfectly. No need to synchronize your videos in post-production. Flexible power options. Omni can be powered from in-camera batteries. An external power supply can be also be used to extend recording time and simplify power management. State-of-the-art VR. Omni and Kolor™ software combine to give you everything you need to deliver astonishing, top-quality VR video. THE ONLY SYNCHRONIZED 6-CAMERA GOPRO RIG Circuitry built into the Omni Rig syncs all six GoPro cameras automatically. This eliminates the need to manually find the sync point between all cameras prior to stitching the videos. One master camera controls all the others—this makes the triggering simultaneous, but more important, all video streams are perfectly synchronized, saving you valuable time in post-production. WIRELESS TRIGGERING The GoPro Smart Remote (sold separately) can be used to trigger the master camera wirelessly. In optimal conditions, you can control Omni from up to 600ft (180m). This lets you position yourself outside of the scene while Omni captures everything around it. What will you get? ・Final resolution (4K 16:9) : 5800 x 2900 (6K) 30fps | (2.7K 16:9) : 4000 x 2000 (4K) 60fps ・High quality and high resolution ・This kit for 220 or 250 lenses ・Size w 95mm x d 95mm x h 80 mm ・Weight : Gopro Direct mount 560g | Back-Bone Ribcage 780g (with 220°lenses) GoPro cameras included in rental costs.